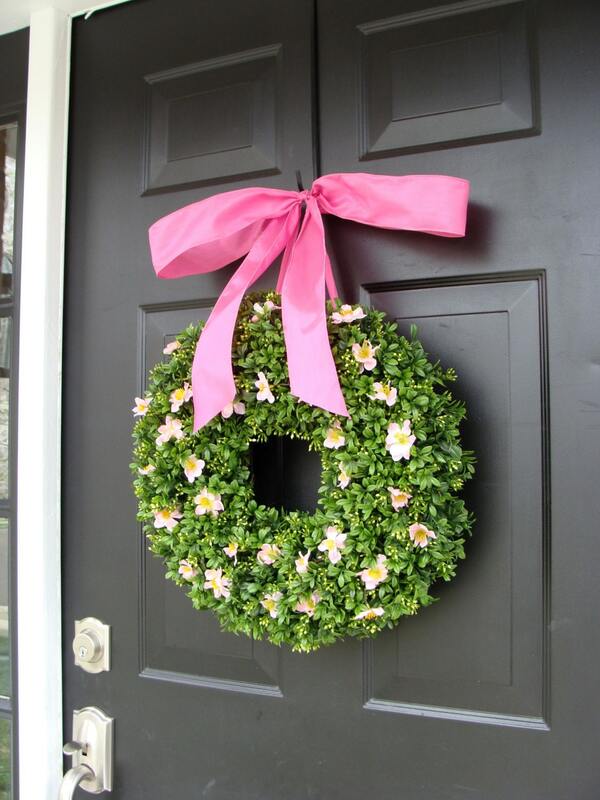 A 16 inch pink floral artificial boxwood wreath is shown. 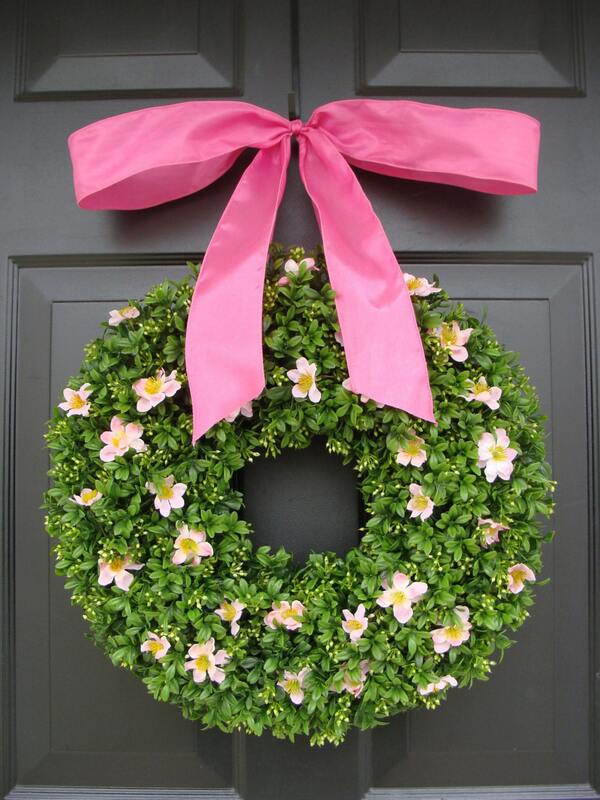 You can choose any color bow that you would like to patch the light pink flowers that encircle the boxwood. 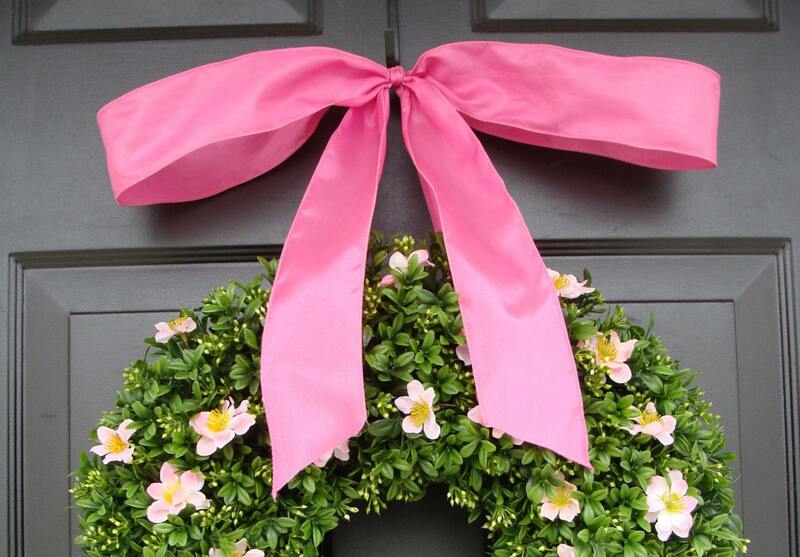 Total height measures 21 inches with ribbon and 4-5 inches deep. 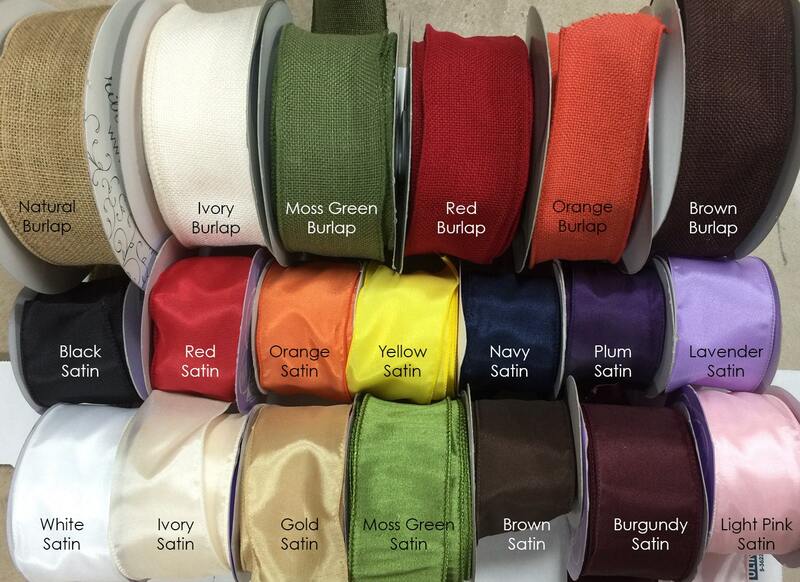 I use only WIRED, sturdy, thick 2 1/2" wired ribbon colors which keeps the bow where your want it to stay. Available in many colors. 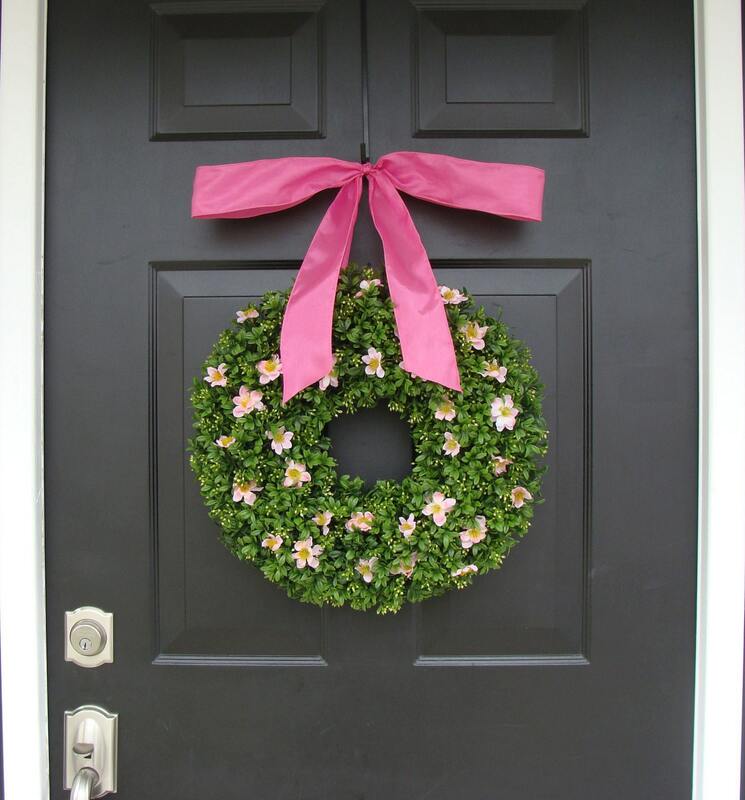 Please choose your color from the drop down menu before adding the wreath to your cart.